Zillow just announced the launch of Zillow Rentals, the company’s new ad-free marketplace for rental professionals and landlords. Zillow Rentals, the company says, will allow it to help serve rental professionals to better market and manage their listings. Besides the free offering, Zillow is also introducing Zillow Rental Premier, which will allow landlords to syndicate their listings across 30 consumer websites and offer tools like credit screening and an email marketing platform. Indeed, rentals are clearly a focus of Zillow’s expansion plans. With its Zillow Rental Network, it already owns the largest rental network on the Web, according to the company’s own data. 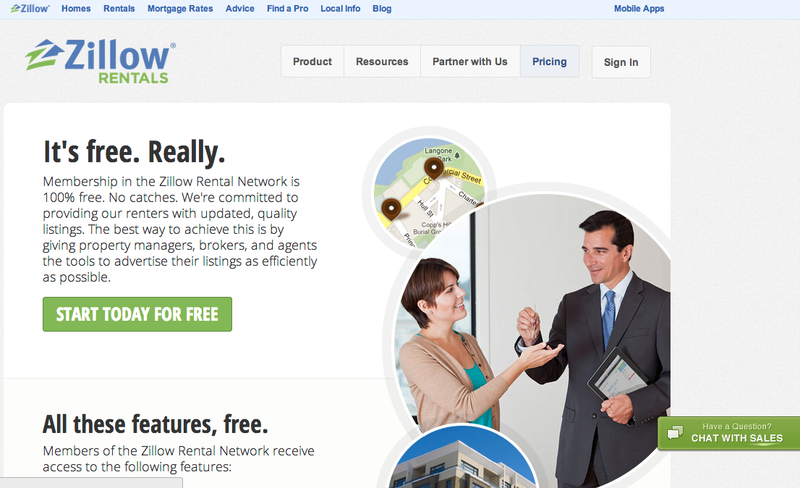 Over 6 million renters, says Zillow, visit its web and mobile services every month. This July, the company also expanded its relationship with Yahoo Homes to include rentals. The company is now Yahoo’s exclusive provider for for-sale and for-rent listings. The RentJuice team, Zillow tells us, is staying in San Francisco (Zillow’s headquarters is in Seattle) and is currently hiring.